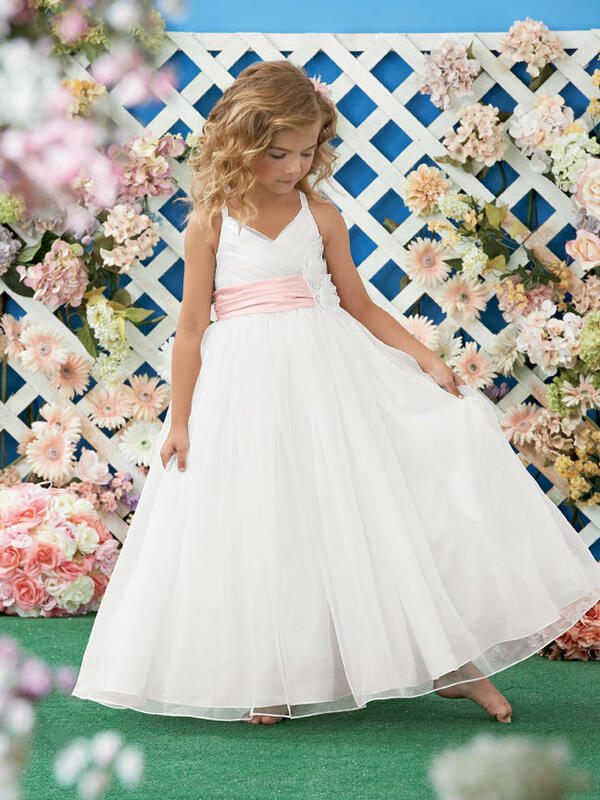 Shown in Diamond White and Light Pink�Pleated mock wrap bodice with spaghetti straps. Pleated satin waistband with embellished organza flowers. Full floor length organza skirt. Also available in ankle length. Available in any combination of two colors. Not available in solid Light Ivory.